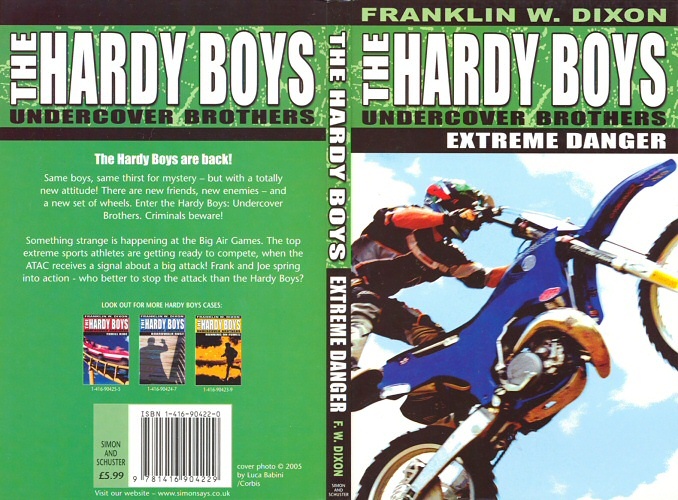 After 78 years and 190 titles, the original Hardy Boys mystery series came to an end in 2005, with the publication of the very last Digest paperback in the USA (Motocross Madness). 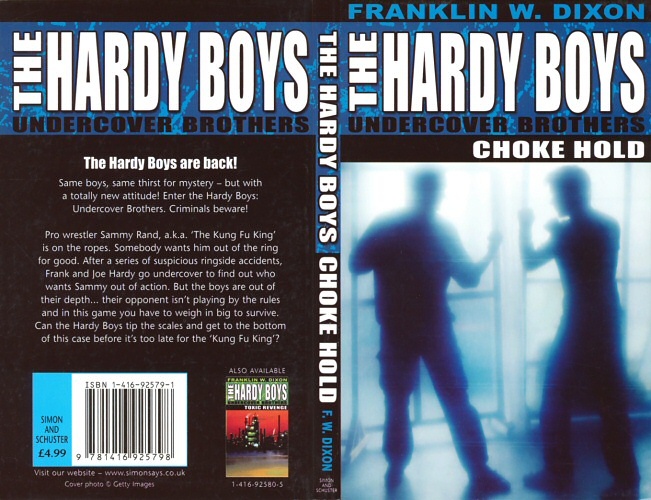 Simon & Schuster were not about to let the brand die or fade away, however, and later that same year, they introduced the third major incarnation of the Hardy Boys universe – the Undercover Brothers; an attempt to modernize and refurbish the franchise for a 21st century audience. 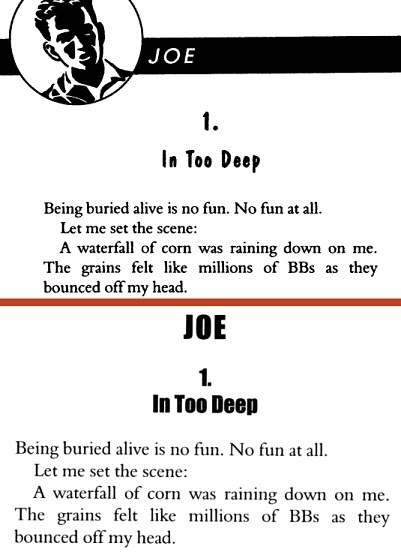 The new set of adventures differs dramatically from both the Original and Casefiles series, in that the stories are narrated from a first-person perspective, with Frank and Joe handling alternate chapters. Other fundamental changes to the Hardy universe include the renaming of Aunt Gertrude to Aunt Trudy; the brothers' new roles as undercover agents for the ATAC organization (American Teens Against Crime); and the transformation of the two protagonists into more fashionable versions of their former selves. Note: The capsule history of Simon & Schuster can be found on the Casefiles page. In an age where the Internet has facilitated the purchase of books from the US, it was widely assumed that no uniquely British editions of this series would be sold or marketed. At the very least, it seemed that Simon & Schuster UK would probably continue their policy of importing American editions to sell in British bookshops and stores. 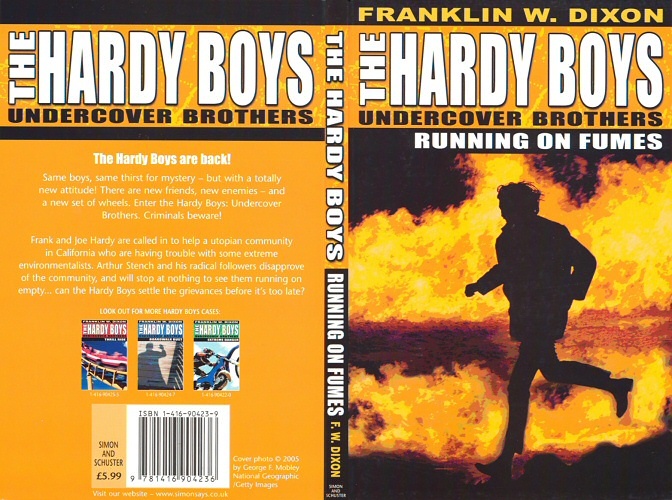 Yet against all expectations, British versions of the first four titles in the Undercover Brothers series were listed on Amazon.co.uk in early 2005, sporting completely new cover designs and ISBNs. Although the covers possessed the same photographs as the original US editions, the imagery had clearly undergone a posterization process, resulting in a more stylized appearance. These editions were printed and manufactured by Cox & Wyman Ltd of Reading, Berkshire. Internally, the layout differed to that of the US editions; the prime alteration being the removal of the graphics from the chapter headings. Despite these changes, it would appear that the actual stories themselves were not anglicized. Instead of subsequently scheduling the publication of volume No. 5 Rocky Road and beyond, Simon & Schuster UK surprised all observers once again in late 2005 by announcing the forthcoming release of four reprints from the Casefiles series, albeit with a unusual twist – these titles were to be issued with the new Undercover Brothers branding and cover design. These peculiar editions are physically smaller than the first four genuine Undercover titles, having the same dimensions as the earlier Archway UK, Pocket Books and Armada paperback releases. The covers have the exact same design and layout as the previous books, with new photographic imagery – licensed from Getty Images – selected to match the subject matter in question (i.e., for Darkness Falls, a picture depicting a total eclipse of the Sun was used). Note: Volumes 5 and 6 were cancelled prior to their publication. 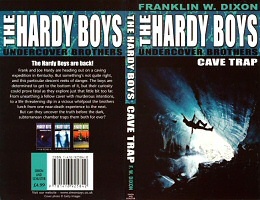 HardyBoys.co.uk – Simon & Schuster UK have published the first four genuine titles in the "Undercover Brothers" series. Why did you then decide to stop publishing the new stories, and release a random selection of Casefiles reprints instead? S&S UK Editor – Much of our publishing programme for Hardy Boys and Nancy Drew comes from the demands of our export markets. Reading between the lines, it is possible to conjecture that the return to the Casefiles series was necessitated by a lukewarm reaction to the Undercover Brothers in Commonwealth territories, although that is purely speculative, of course. It is also worth pointing out that a similarly unexpected change of strategy affected the British Nancy Drew Girl Detective series, where a number of older Nancy Drew Files stories were to be reprinted under the new branding. 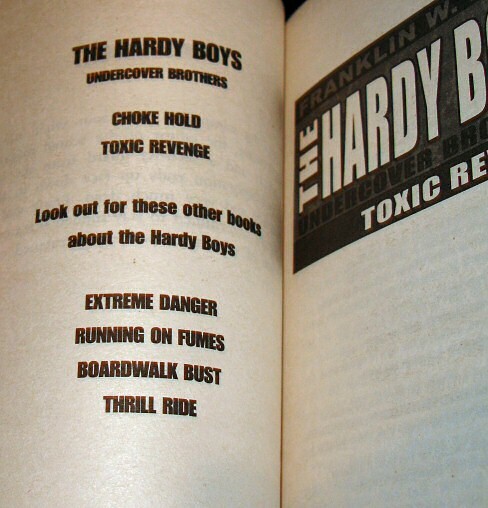 Unlike the Hardy Boys Hybrid editions, however, these reprints were cancelled before publication. Two more hybrid reprints earmarked for November 2006 (Line of Fire and Lethal Cargo) were later cancelled before any cover artwork made it to any of the online bookstores, including Amazon.co.uk. 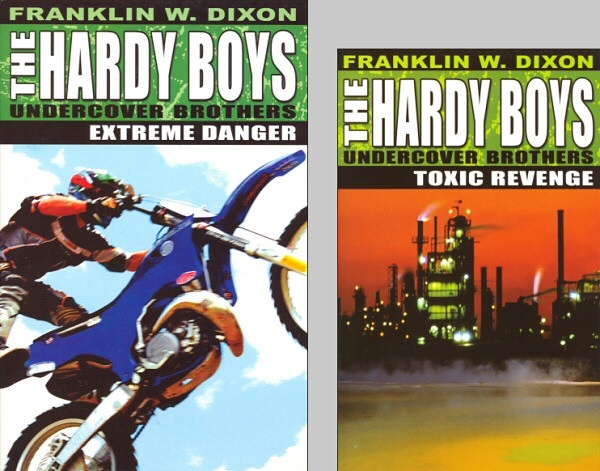 HardyBoys.co.uk – Do you still plan to release the "Line of Fire" and "Lethal Cargo" reprints in November for this series? S&S UK Editor – This has been shelved for now, but it possible that they will be published in the future. Needless to say, these particular reprints have since failed to materialise. 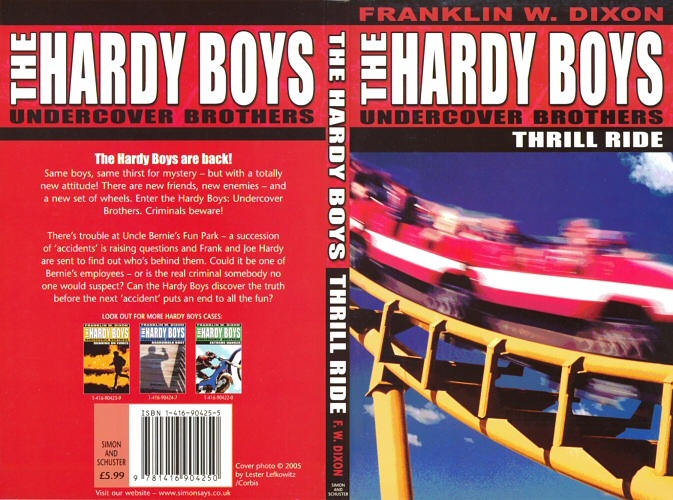 The third (and final) twist in the brief history of this series in the UK came in May 2007, when the fifth Undercover Brothers title (Rocky Road) was finally made available in Britain in the form of an imported US edition. 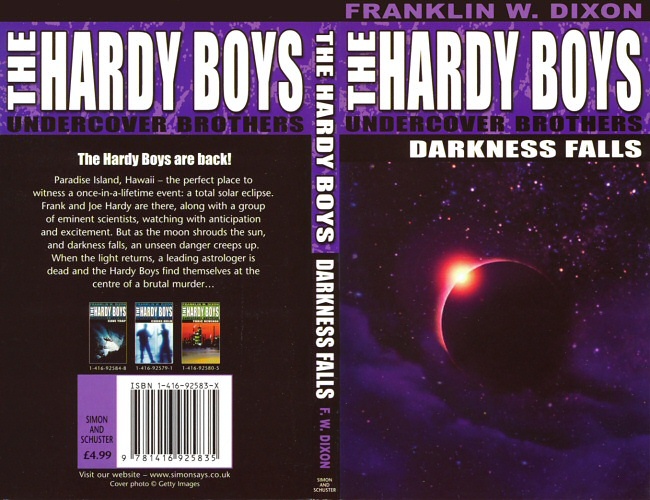 As with previous imported American paperbacks, the original price is concealed with a sticker containing the British Sterling price and barcode (for these titles, the price was set at £5.99). However, unlike imported titles from the Original and Casefiles series, these books have been assigned new and unique ISBNs. A complete list of imported US editions from this series can be found in Appendix V: Imported Editions. 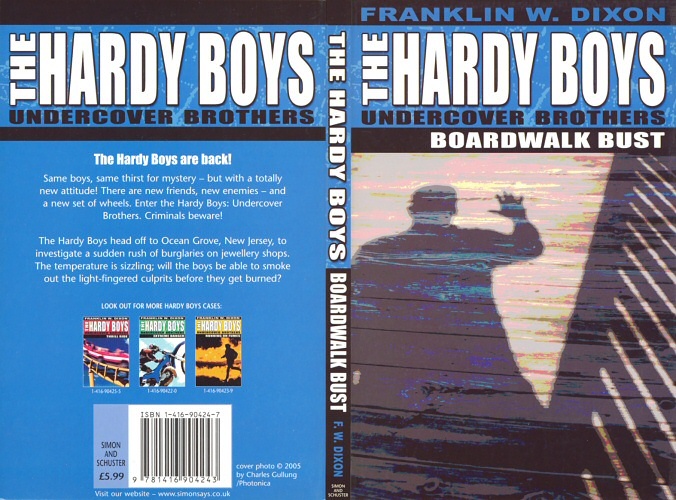 The Graphic Novels published by Papercutz in the US – which also form part of the Undercover Brothers universe – have also been imported into the UK since May 2006, originally at a price of £4.99 each. 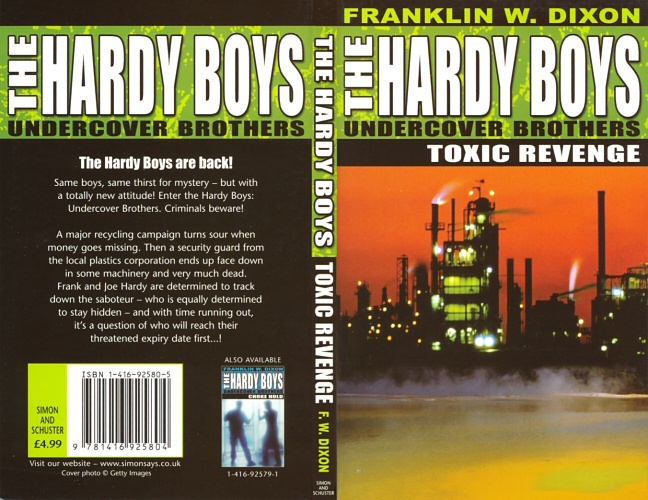 This brings the history of the British and Commonwealth Hardy Boys editions to the present day. It appears highly unlikely that any new editions will be printed and released in the UK for the foreseeable future, especially while importing editions from America continues to be more economically viable.